I love Nanoblocks – tiny Lego-style kits from Japan that come in amazing and kawaii designs. The new Korilakkuma in bunny costume with strawberry is really cute! Meet Rilakkuma’s new friend, fresh out of the honey forest in the latest LINE theme. Korilakkuma makes every day bearable to see her relaxing on top of latte. Turn classic lollipop candy into super cute Kiiroitori & Korilakkuma, perfect treats for any party! 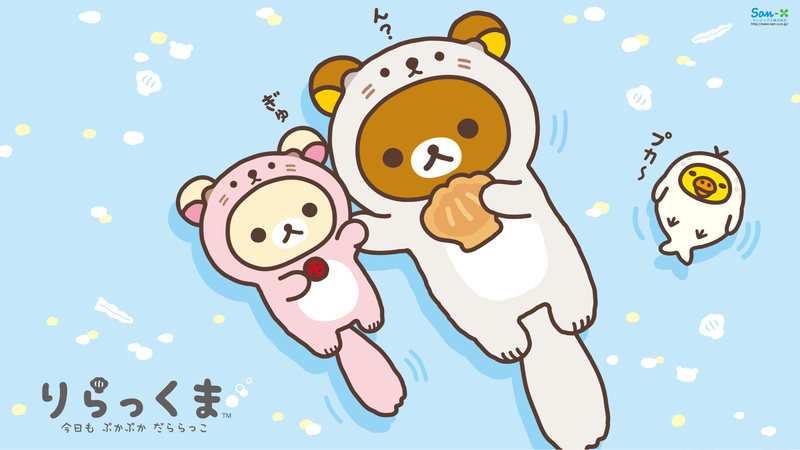 Let Korilakkuma and his new forest friend Kogumachan lighten up your chats with these animated honey sweet stickers. I really enjoyed this video of watching the cute face of Korilakkuma gradually showing up on top of the fluffy cotton candy of honey soda at Toyko Rilakkuma Cafe. Korilakkuma finally has its own LINE Play room – full of pink and strawberry items. Dress up your avatar with super cute Korilakkuma strawberry outfits of crown, dress and cloak.